Using resume and job search activity data, ZipRecruiter and the Call of Duty Endowment (“the Endowment”) compiled data about the employment health of veterans in the civilian workplace. The report, “Challenges on the Home Front: Underemployment Hits Veterans Hard,” noted areas where veterans differed from their civilian counterparts in education, employment, geography, and job search activity. Although veteran turnover is lower than civilian turnover throughout the course of their careers, veterans tend to leave their initial post-service roles faster than non-veterans. The study suggested that immediately following military service, veterans may take the first job available, as opposed to finding their “best fit.” Roughly 57% of veterans remain at their jobs longer than two and a half years, compared to 42.5% of non-veterans. The veteran unemployment gap has narrowed greatly since 2010. The veteran unemployment rate is below national average in most categories. Only veterans between the ages of 18 and 34 have unemployment rates that exceed those of their non-veteran counterparts. When evaluating the workforce landscape, one of the most important factors is underemployment, which affects more veteran job-seekers than non-veterans. Underemployment, in a nutshell, is when an employee has higher qualifications than the role uses or requires. To determine underemployment, the study used the O*NET taxonomy of jobs’ skill levels compared to individuals’ most recent position with their highest level of education. This method revealed that nearly one-third of veteran job seekers are underemployed, a rate 15.6% higher than non-veteran job seekers. The study noted, “This higher rate of underemployment may result from the transition process itself, which often results in veterans taking sub-optimal employment in order to replace income immediately after service, particularly in situations where transitioning service members have families to support and cannot afford an extended job search or educational period. Veteran job-seekers are more likely to be employed during their search than non-veterans, which could be a contributing factor to their overall underemployment. More than half of veteran job seekers (54.2%) are either “very likely” or “somewhat likely” to change jobs in the next six months, compared to 43.9% of non-veterans. 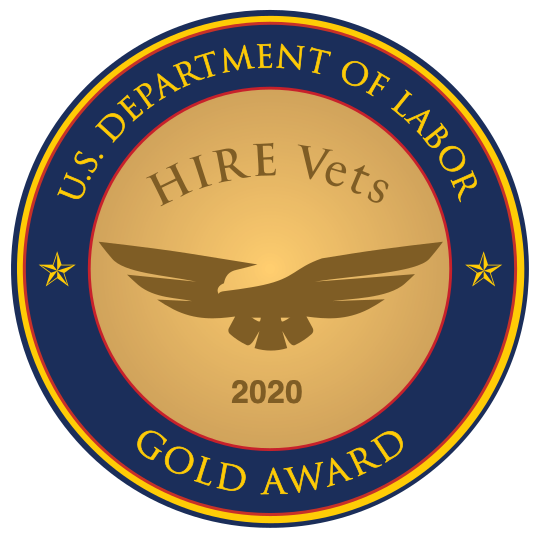 According to the underemployment study, “Experience, perseverance, leadership, and directly-relevant skills top the list of desirable qualities that employers find attractive in veterans.” Most employers (59.1%) reported that veterans perform “better than” or “much better than” non-veterans, and employers were more inclined to see veterans as assets to their companies, compared to their non-veteran colleagues. Approximately 20% of employers valued a veteran’s experience as the top reason for the veteran talent pool’s draw. Perseverance/work ethic came in as a strong second, and 16.6% ranked leadership skills as one of the top three factors for new hires.